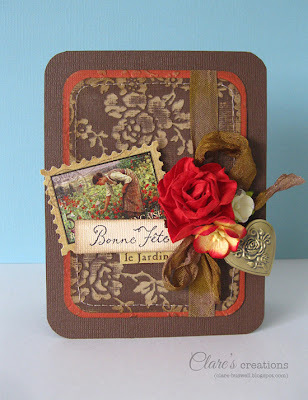 I've some pretty vintage cards on the Core'dinations blog today featuring Graphic45 French Country Collection and Signature Series. Here's two of them, you'll have to pop over to the Core'dinations blog to see the third! 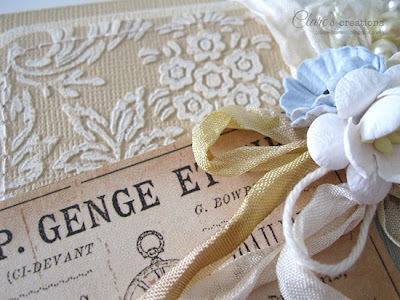 Embossing with Core'dinations cardstock is still like magic to me, check out the detail in the embossed background, I used the Anna Griffin Juliet Damask embossing folder and sandpapered the embossed surface. Here's another creation using the Graphic45 French Country Collection with a richer color palette. 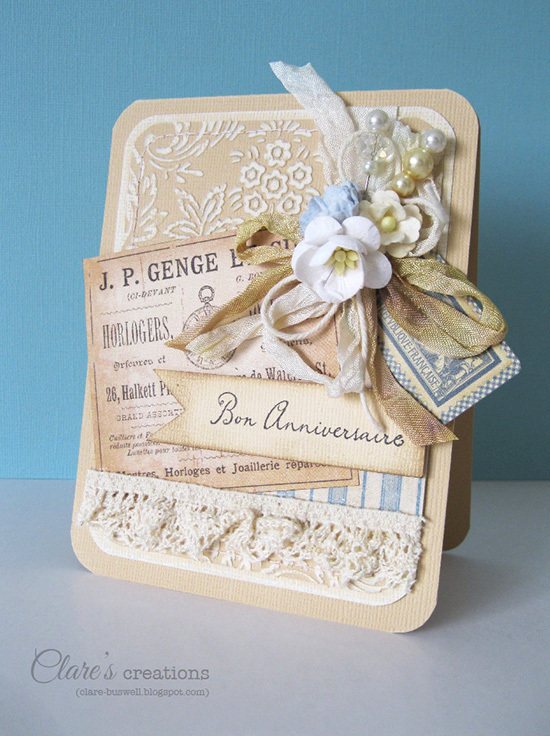 I used some more Signature Series on this card and embossed the background using Anna Griffin Rosa embossing folder. 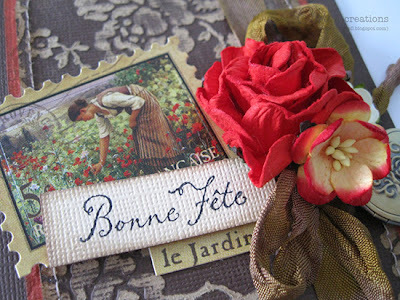 That gorgeous sticker is from Graphic45 French Country Stickers. I love them all, Clare! Wonderful elements, but the embossing on the Core'dinations is a real standout!